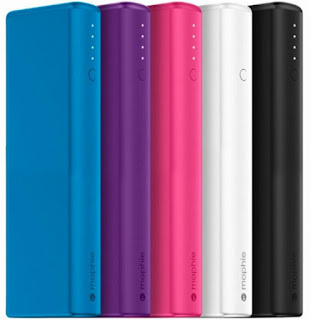 My daughter will LOVE this mophie - Power Boost 10,400 mAh Portable Charger (purple) for $19.99 (Retail $79.99). Valid January 13th only. Charge your devices anywhere with this 10,400 mAh mophie Power Boost XL power bank. The LED indicator shows you the unit's power level, and you can use the included USB cable with your laptop or wall outlet adapter when the power bank needs a recharge. This purple mophie Power Boost XL power bank outputs at 1 amp for consistency.